Your Complete Guide to Pure CBD Oil - Medical Marijuana, Inc. All-natural pure CBD oil is extracted from the stalk of the hemp plant and packaged with no additives. Pure CBD oil has become a highly sought after supplement as more is discovered about its natural balancing benefits. This all-natural botanical extract of the hemp plant enhances the body’s own systems to optimize performance. You may already know the answer the question- “what is CBD oil?” but you may not know the benefits of pure CBD oil. Pure CBD oil is a botanical extract sourced straight from the hemp plant. It is high in the cannabinoid CBD and is designed as a daily supplement to promote balance and overall health. 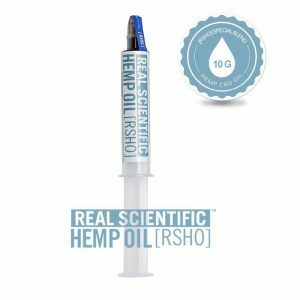 Medical Marijuana, Inc.’s pure hemp-derived CBD oil product, RSHO™, is made from a unique cultivar of high-CBD hemp grown by families of farmers in the foothills of Northern Europe. Using centuries-old cultivation techniques, these families grow our hemp without the use of chemical fertilizers, pesticides or herbicides. We use a specialized CO2 extraction process to pull the high-CBD oil out of the plant. Every batch then undergoes our Triple Lab Tested® process, which checks our pure CBD oil three times throughout manufacturing to ensure its safety and quality. RSHO™ pure CBD oil is available in four label options: Green, Blue, Gold, and Special Blend. Why Use Pure CBD Oil? Taking pure CBD oil everyday naturally promotes health and wellness. This is because pure CBD oil delivers high levels of CBD to your systems. Once the CBD in hemp oil is absorbed, it interacts with your body’s endocannabinoid system. The endocannabinoid system is a major regulatory network that keeps a large number of your functions in balance. Things like sleep, immune response, mood, metabolism, energy balance, and memory function at their best when they’re properly regulated by your endocannabinoid system. By interacting with cannabinoid receptors in the body, CBD stimulates the endocannabinoid system. This interaction encourages the endocannabinoid system to keep the body and its functions balanced so that your body can run at its best everyday. Pure CBD oil also contains dietary nutrients that promote a complete diet and encourage health. CBD oil is considered a good source of nutrients like vitamins A, B12, C, and E, calcium, phosphorus, and potassium. Purest form of CBD hemp oil. Pure CBD oil is as close as you can get to the natural hemp plant. Pure CBD oil contains no additives. High levels of CBD. RSHO™ is among the most potent of our CBD supplements, ranging from 50-120 mg of CBD per suggested serving. Contains a number of dietary nutrients. Green and Blue Label RSHO™ contain Omega 3 and 6 fatty acids and a full spectrum of essential vitamins and minerals. Easy to take. Pure CBD oil is easy to measure and consume. Simply add your desired serving under your tongue for fast absorption. 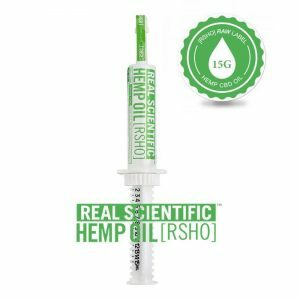 RSHO™ pure hemp oil is packaged in easy-to-use oral applicators, making it easy to dispense the oil onto a spoon. It can then be placed under your tongue, where CBD and the other active compounds are absorbed through your mucous membranes in 60-90 seconds. Pure CBD oil can also be swallowed and ingested, which eventually delivers the CBD to your bloodstream after it passes through the digestive system. These handy, lightweight oral applicators feature measurement markers and either a plunger or dial system for quick and exact CBD servings every time. Simply remove the cap and depress the plunger. Many people prefer the strong earthy flavor of RSHO™ pure hemp oil. If you are looking to avoid this “green” flavor, there are a number of ways to mask the taste. Some customers enjoy dispensing their daily RSHO™ serving onto a spoonful of yogurt or ice cream, which can then be swallowed. 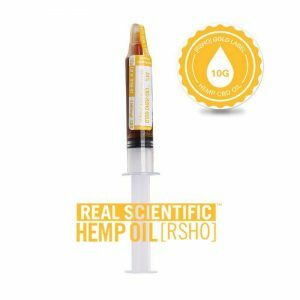 Others prefer to use the RSHO™ oral applicator to dispense their daily servings of CBD hemp oil into a smoothie, allowing the sweetness of the fruits to temper the hemp oil’s green flavor. There is no better product type of CBD supplement for customers looking to maximize their daily CBD than our pure CBD oil. 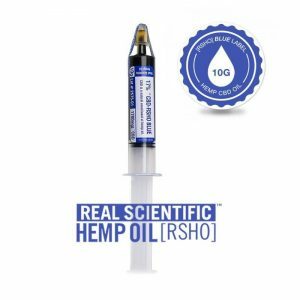 You can find our RSHO™ in our online shop, or learn more about the natural benefits of taking pure CBD oil everyday on our CBD Oil Education page.